Depressive symptoms are common among individuals with chronic pain. Previous work suggests that chronic pain patients have difficulty regulating emotional responses, which is a risk factor for the development of major depressive disorder (MDD). Function of the mesocorticolimbic system, a neural network associated with reward processing, contributes to emotion regulation. This network’s dysfunction has been described in chronic pain and MDD research and potentially underlies the relationship among emotion dysregulation, chronic pain, and MDD development. 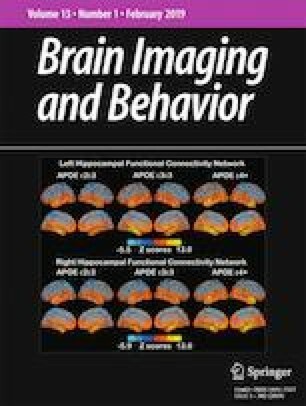 Given that mood induction paradigms have been used to measure emotion regulation, the present study examined intrinsic mesocorticolimbic functional connectivity (FC) after induced sad mood in individuals with and without chronic low back pain (cLBP). Thirty-three MDD-free individuals (17 cLBP) underwent resting-state scanning before and after sad memory-evoked mood induction. A Group [cLBP, healthy control (HC)] x Mood (Neutral, Sadness) repeated measures ANCOVA was conducted on seed-based FC data using a mesolimbic a priori region of interest. Interaction effects were identified in the orbital frontal cortex and inferior frontal gyrus [F(2,29) = 21.07, pFDR < .05. hp2 = .5]. Whereas cLBP showed significantly greater FC between these two regions and the mesolimbic seed under neutral mood, FC among these regions increased in HC and decreased in cLBP under sad mood. Exploratory graph theory analyses further describe between-group differences in mesocorticolimbic network properties. Findings support previous literature describing mesocorticolimbic dysfunction in cLBP and demonstrate aberrant function in emotion regulation. Mesocorticolimbic dysfunction during emotion regulation might contribute to the development of certain depressive phenotypes in chronic pain patients. This work was supported by grants from the National Institutes of Health to MER (PI: NIH-NCCIH R01AT001424; Co-PI: NIH-NINR R01NR015314) and JEL (F31AT007898; F32HL143941). All authors declare that they have no conflict of interest. All procedures were in accordance with the ethical standards of the institutional and/or national research committee and with the 1964 Helsinki declaration and its later amendments or comparable ethical standards.